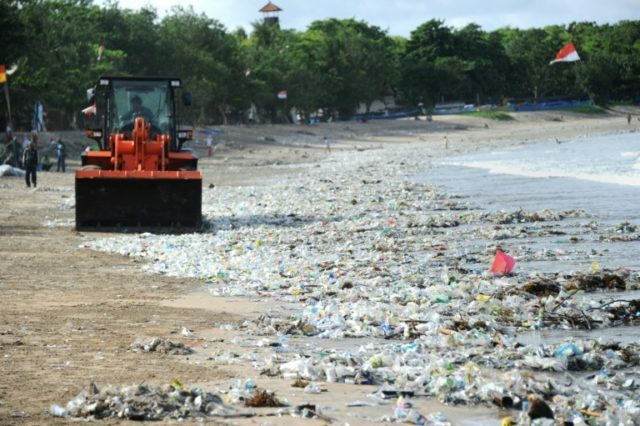 Nusa Penida (Indonesia) (AFP) – Millions of tourists are drawn to Bali’s palm-fringed scenery and rich marine life, but a British diver has released stark footage highlighting a growing problem in its famously crystal-clear waters: plastic rubbish. An underwater video shot by Rich Horner this week showing a sea overflowing with plastic and other garbage at Manta Point, a well-known diving site near Bali’s main island, has already been viewed about a million times. Plastics of all kinds — including bottles, cups and straws — were floating around him, he said. Often dubbed a paradise on earth, the Indonesian holiday island has become an embarrassing poster child for the country’s trash crisis. Manta Point is about 40 kilometres (25 miles) from Bali’s main island.